Graphic and type designer, Valentin Brustaux has been working for different type companies such as Adobe (US), Optimo (CH) and Tiro Typeworks (CA), for various western and non-latin typographic projets (Cyrillic, Greek, Telugu and Kannada). Valentin Brustaux studied Typography at the University of Reading (UK), from 2006 to 2007, successfully completing his Master Degree in Typeface Design in 2007. One of his most significant realization is his typeface Tiina – published by Ourtype, (BE) – which received the Type Directors Club Certificate of Excellence in Type Design in 2008 as well as the Swiss Federal Design Award in 2010. Next to his activities in type design, Valentin Brustaux has been working in graphic design for more than ten years in the field of art, culture and commerce, from the international to the local. Since 2014, he currently teaches graphic and type design at eracom (école romande d’arts et communication) in Lausanne (CH). With Bogdan Bogdanović, Adam Broomberg & Oliver Chanarin, Aleksandra Domanović, Renée Green, Jonathan Horowitz, Alfredo Jaar, Khaled Jarrar, Dani Karavan, Fernando Sánchez Castillo, Esther Shalev-Gerz, Grupa Spomenik Archive (Ivana Bago, Ana Bezić, Andrew Herscher, Antonia Majača, Branimir Stojanović, Milica Tomić, Vanessa Vasić-Janeković), Walter Benjamin Archiv. Curated by Denis Pernet. 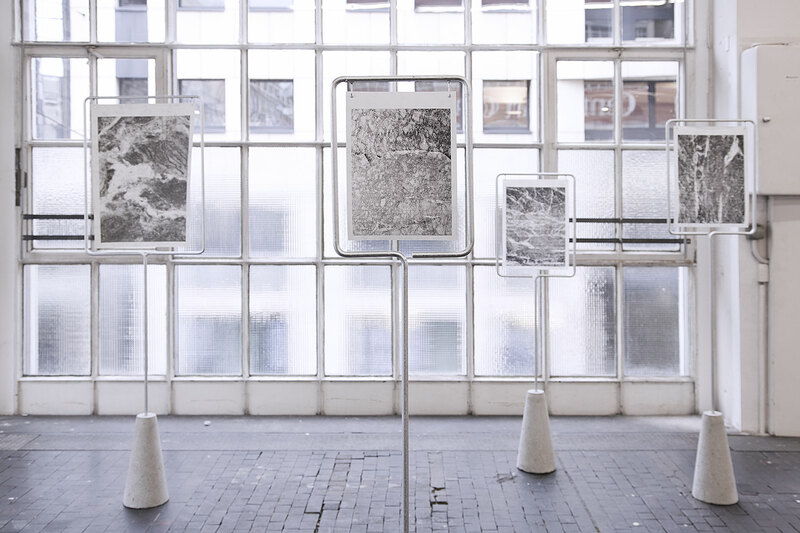 Exhibition by BUREAU A. © 2019 Valentin Brustaux. All rights reserved.